Support Jetty 6.x, 7.x, 8.x, 9.0, 9.3, 9.4.6, 9.4.8(With Java 9 support) . Why this plugin? 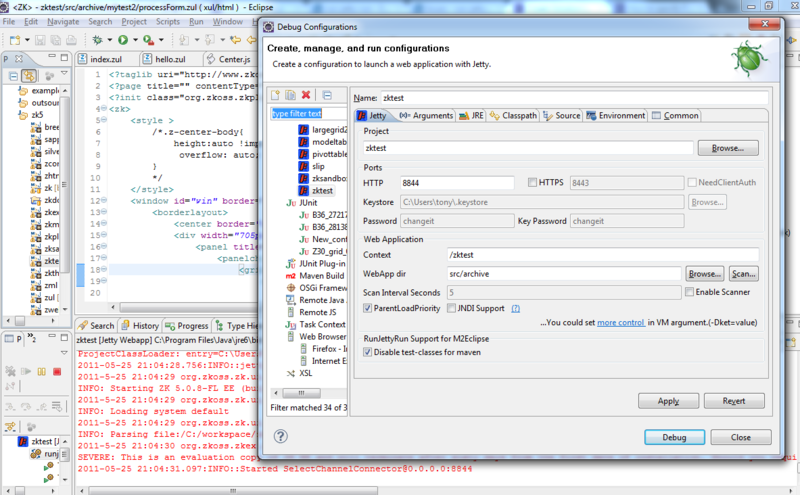 Because running a web application in Eclipse should be as simple as 'clicking run'. No additional setup required. Have fun! 23 Cannot continue the operation. There is another install operation in progress. By adding the following code below to your website you will be able to add an install button for Run-Jetty-Run. I am using this plug-in that you have developed, which is particularly powerful. Thank you very much. Just a little bit unclear. Where does the plug-in publish the project? Is it running like a traditional Tomcat?